The aqua blue water of a pool is so tempting. 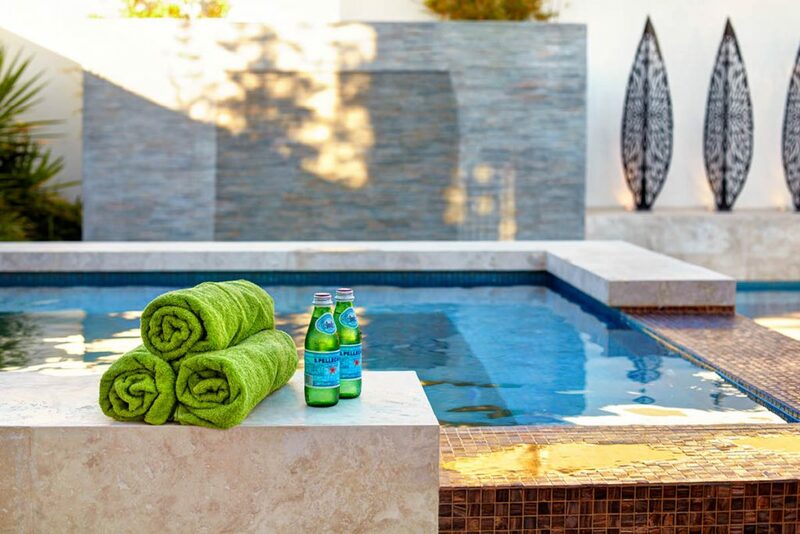 As we see a rising demand to make ordinary backyards extraordinary and luxurious, pools are more than just a place to cool down. They are the hub for entertaining, creating an appealing space to be used throughout the year. 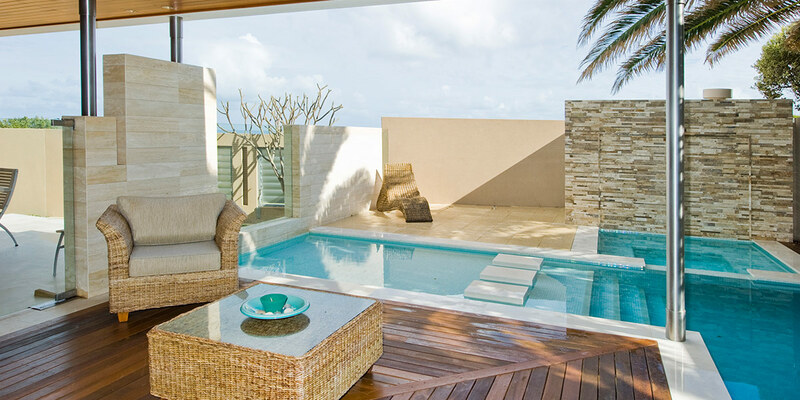 Selecting the right pool for your space can be daunting and is often governed by a number of aspects. Concrete or fibre glass they all have a place in the landscape. Spatial awareness is paramount and how the pool relates to the space available; the architecture of the home plus the contours of the land contribute to the design and style selected. The pool needs to sit comfortably in the area available particularly, as in most cases the pool becomes the focal point of the back yard. 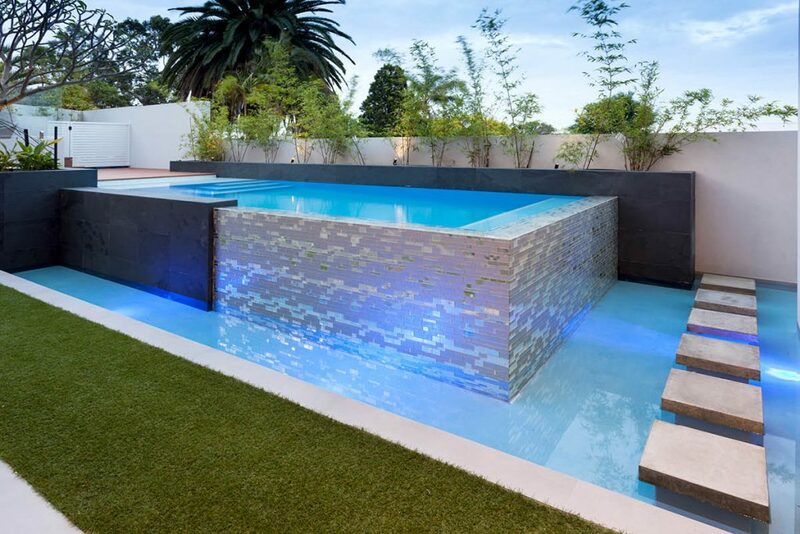 A pool too large can dominate and take over the space, whereas a pool which is carefully sited can allow for movement around, introducing planting to soften the space and glare on a hot summers afternoon. Some decisions are easy to make, as the space is limited. With space at a premium innovative solutions are necessary in order to maximise your useable area. A clever design introducing vertical elements can take your outdoor area to another level. Repetition of materials used inside and out, together with clarity of palette gives strength to a small area. The addition of a burst of green makes the whole space pop. Viewing from inside is equally important, as well as being able to use the area all year round. When a larger area is available the choices becomes so much greater giving you the ability to really extend the living area drawing you into the yard. Other aspects come into play when selecting the pool site and size. The proximity of the pool to the house, does it take up the whole yard or is there room to move around and include a pavilion for entertaining. Multiple zones can be created through intelligent landscaping. Beautiful materials enhance the outdoor area and soft plantings contribute to the overall impact. Basically, don’t just plonk a pool in – then decide to landscape around it! You will achieve a far better result if you consider the whole area and design with the finished intent in mind. Add to this picture beautiful outdoor furniture to compliment the space and you have a fabulous outdoor room ready for endless summer days and beyond.